Foreign fashion Brands like Benetton, Zodiac, Z3, Zara, Vero Moda, Calvin Klein, Diesel and Tommy Hilfiger have a matured sales growth in India of late. Upcoming brands such as Zara, Armani, Forever21 and Uniqlo appeal to the Indian audiences and are therefore attracting higher per square foot sales than indigenous department or hypermarket stores. On the other hand, Indian companies like the Arvind group, Madura Fashion and Lifestyle, Raymond Apparel, Trent Retail, Reliance Retail and Future Group have also launched their own fashion labels in order to expand their reach. 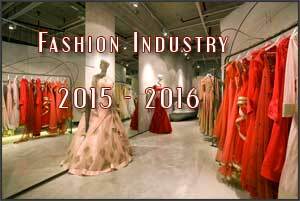 The following list includes the largest fashion companies in India. Some of the country's biggest fashion designers are launching new, more affordable labels, aiming to strike a chord with young, successful, fashion-conscious Indians. According to Sabyasachi Mukherjee, leading fashion designer in India, the fashion taste of the Indians have changed a lot and is now at par with International trends. India's luxury fashion market is expected to cross $18 billion in 2016, according to a report by the Associated Chambers of Commerce of India, with heightened brand awareness and growing purchasing power in the smaller cities. The Indian Fashion retail sector in India is emerging as one of the largest sectors in the economy and is currently valued at $ 600 billion. Of this, about 90 per cent is unorganised retail and only 10 per cent is organised. A recent study stated that by 2020, India is expected to generate $100 billion online retail revenue out of which $35 billion will be through fashion e-commerce. Liberalisation of the FDI policy in retail sector will also provide further impetus to the entry of large international retailers, especially in the category of fashion and apparel.